Some Doodles I Done Did. I was doing a show at the Oddball Art Hall and so I doodled my heart out the night before to have some drawings to sell along with my handmade jouranls. I am rusty for sure, but was happy to sell all but one of the 4. My husband says that this drawing sums up my feelings on cats fairly accurately. I do love an underbite though. 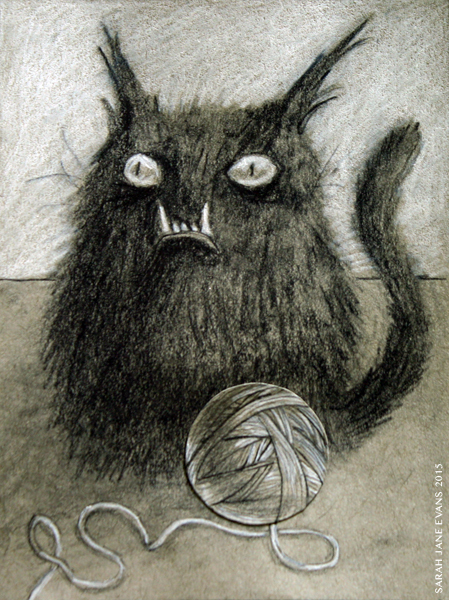 The little yarn ball I drew as an afterthought on another piece of paper and then glued it on. 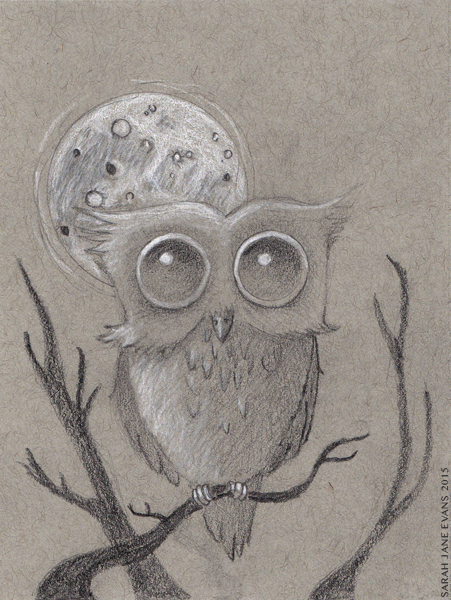 Everybody loves owls and they're somewhat simples to draw if you're not going for accuracy. 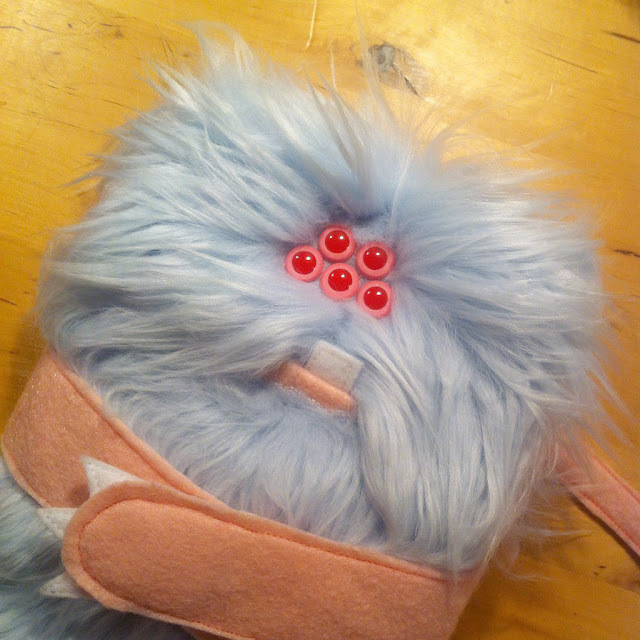 This little hooter has got some big ol' peepers for staring into your soul. I'm not sure where this came from. I'm in Kennett Square, so mushrooms were on the brain and then of course I had to add faces. 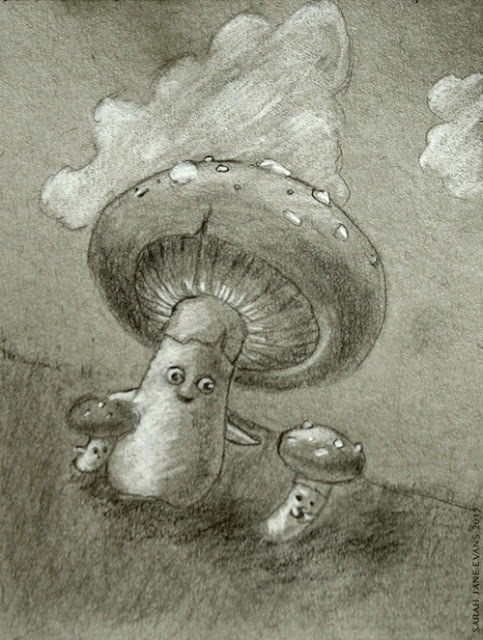 The one little mushroom isn't interested in familial bonding. He's not being a real fungi... DOUBLE PUN. 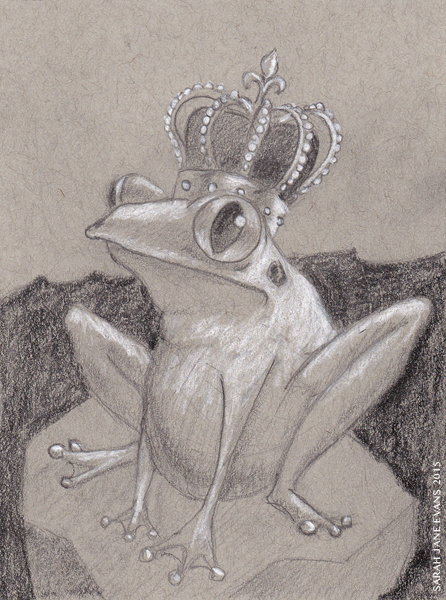 The Frog King in his natural habitat. A look at if the Frog Prince had decided that he just liked being amphibious better. And that's about it. Need to start doodling more often to improve my skills. A Dog-Doodle for National Dog Day! Sorry Suffragists! One should note that it's also Women's Equality Day today as well as 'National Dog Day'. But I didn't have any drawings of women exercising their right to vote. I'm sorry suffragists, I will try hard next year to do right by you (and me)! I really will! What I do have, however is a dog-doodle. 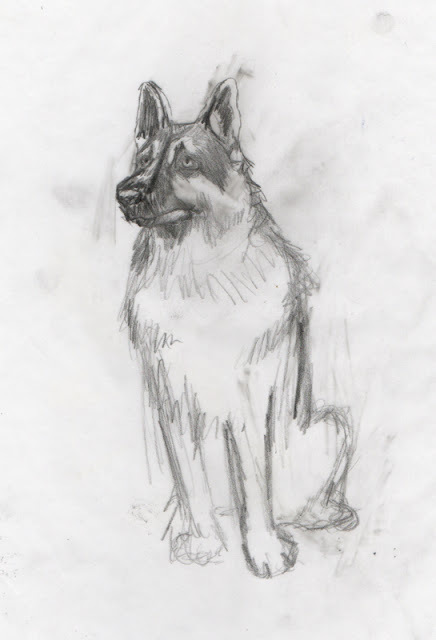 No, not dog-doo, a doodle of a dog. Something I did a long time ago, but which I'm posting now on this most auspicious of days. And here below is a picture of my favorite dog currently living, Mr. Pickles, my parents' shih tzu. He looks quite dubious in this picture, but than again he's usually a pretty suspicious fellow. Happy National Dog Day... and Happy Women's Equality Day. I'm not sure if it's insulting or not that National Dog Day is also Women's Equality Day. I will just chalk it up to every day of the year having multiple holidays, some serious and some just fun. I hope you have enjoyed both you loyal companions and also your right to vote. No matter what a mother tells you about loving all of her children equally and without reserve, you know she has a favorite, right? You probably also think you're that favorite, but only your mother really knows for sure (pssst... it's probably your younger sister). Well, I'm going to put it right out there, Snargle has always been my favorite. 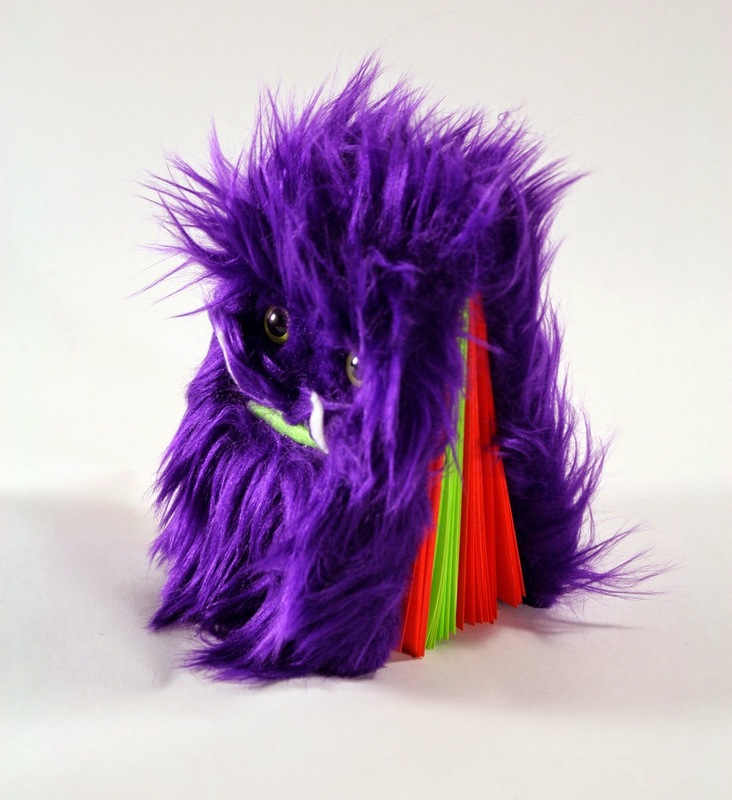 He was in the very first round of Nightmare Snatcher journals I ever designed and I liked the little monster so much that I put him aside before the RISD alumni sale (my first craft show), lest someone feel the same and buy him out form under me. 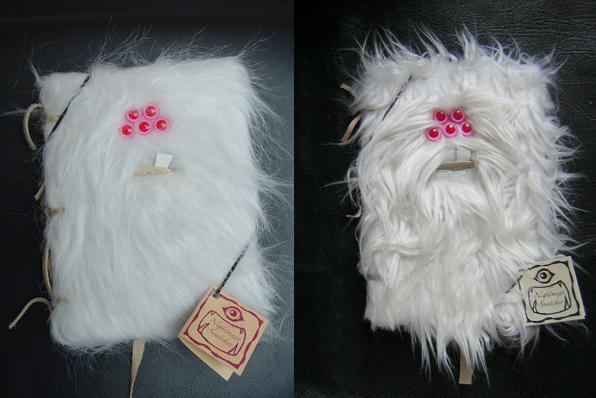 Snargle in his first incarnation and then his second incarnation with a fluffier fur. Of course at that time I did not realize I would be making monster books for a decade thereafter and maybe had I known that, I would have taken the chance at the money instead... but I digress. 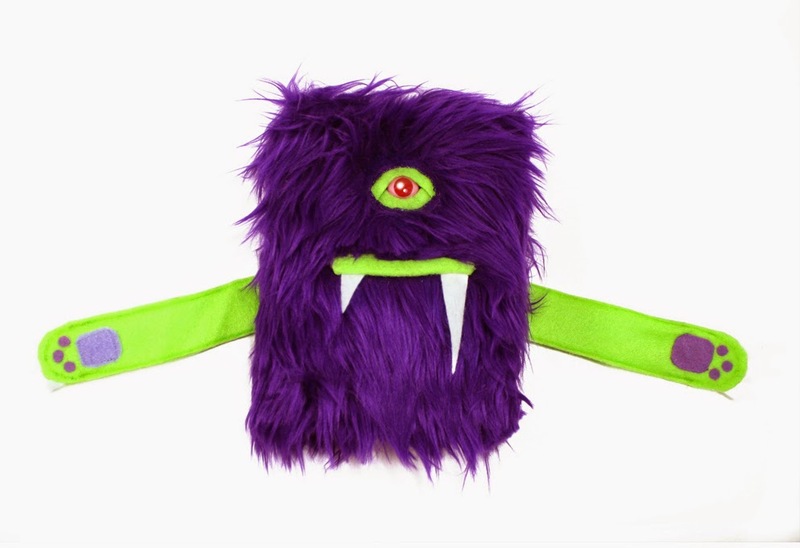 Though Snargle has always been my favorite, the poor little blighter has not always been the favorite of my buyers, which any mother knows can be quite upsetting. How can my little sweetie not be as universally loved as he should be? Was it the white fur? 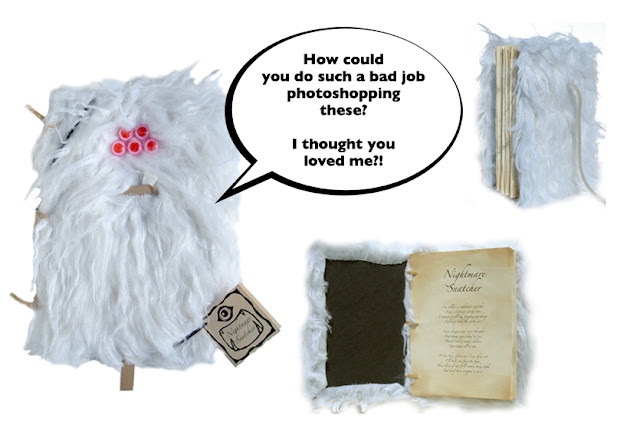 Perhaps it was because of the difficulty I was having photographing a white furry book on a white background? Looking back, my photoshopping was appalling. (geez, look at the photo below! Did I have a Wacom tablet then?) I should be ashamed... Was it the five eyes? Such a peculiar amount for a creature makes Snargle more special, doesn't it? Or maybe it was simply that with such an adorable little face, Snargle was just too sweet to be a monster. I'm sorry Snargle! I don't know what happened! I never quite understood why other people didn't love Snargle as well as I did, but the reason for my own favoritism is hard to pinpoint itself. I think in essence, Snargle looks innocent to me. Those 5 shiny little eyes seem to look up to me for approval. When other Nightmare Snatcher journals were flying off the shelves, I felt as though Snargle would look at me for a sign that it would soon be his turn to find a home, and it broke my heart to have to put him away in a cupboard for he would not be sold today or most days. I began to also have trouble finding sources for good white fur. As you can see from the pictures there were 3 different white furs and the last one, pictured just above, I was really not a fan of. For all these reasons despite my personal feelings, I decided to stop producing Snargle and have not made a Snargle in a very long time. And in case you were wondering, my very first *NEW* Snargle has already found a loving home less than 2 weeks after listing him! As with all the new Nightmare Snatchers he is sporting many new features and is available in my Etsy shop that you can see in the pictures below. ...okay, not today, but soon. 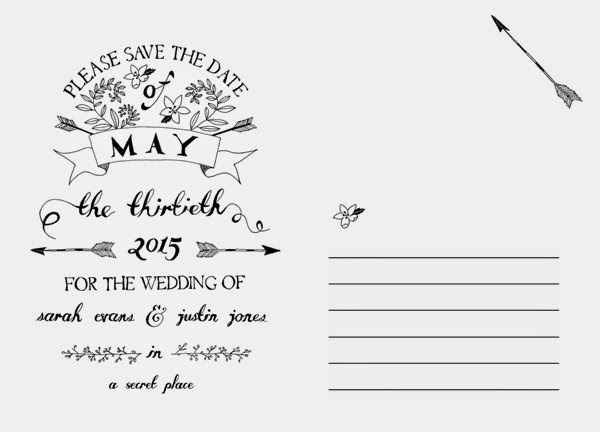 And I made some save the dates and everything. 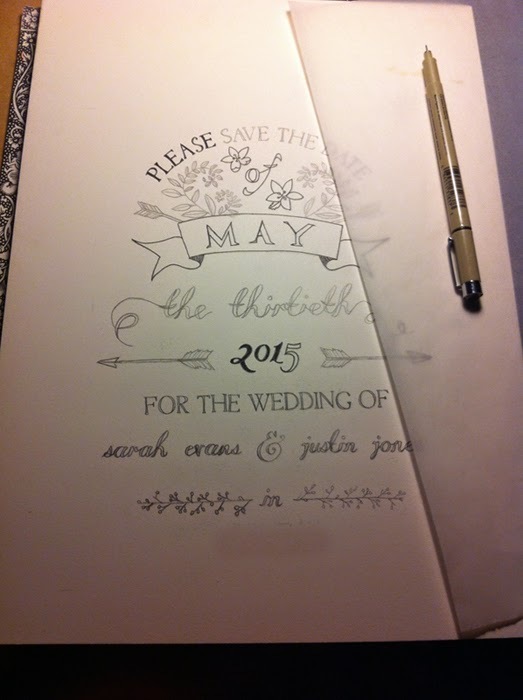 Just like a real grownup who is responsible enough to let her guests know in advance so they can plan accordingly. 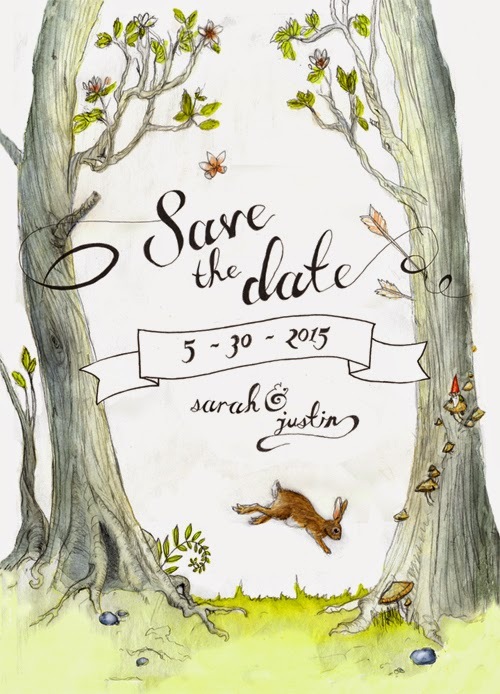 Of course I sent the Save the Dates out kind of late, but let's no talk about that. Let's just bask in the glow of my responsible-ness. 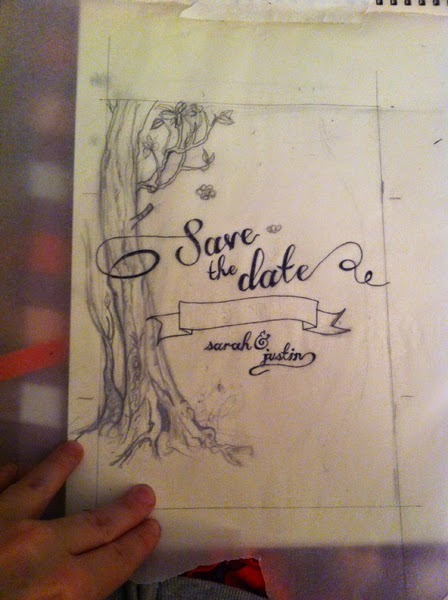 The back of the Save the Date postcard as I started inking it in. The front sketch half finished. Back of postcard complete with fake destination. 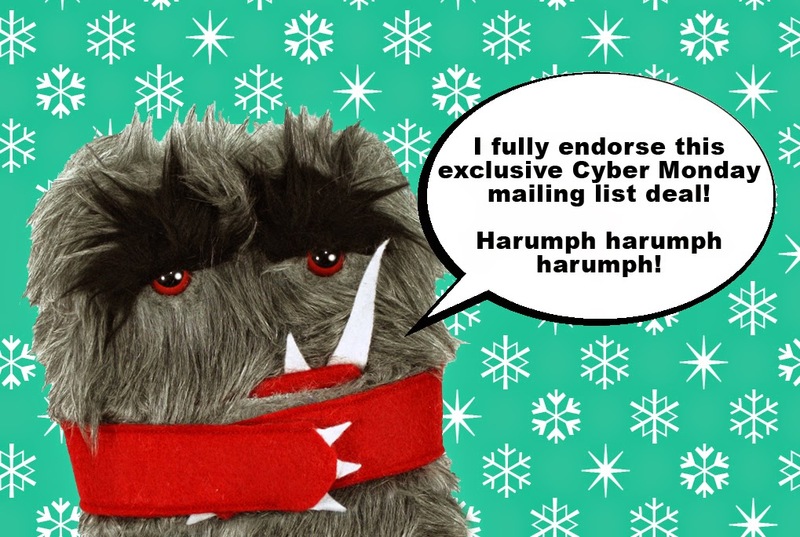 My Cyber Monday deal is available ONLY to mailing list subscribers. So sign up if you want in! I'll be mailing it out in the evening EST! Why the evening? Because we're creatures of the night! ...and I want to give people time to sign up. The Monsters, They Are a Changin! The Spiderbite Boutique was shut down for some time, though I opened it up intermittently when I felt the urge, but I've decided to come back full force now! And with my return I bring big and exciting improvements to all of my products. All of my journals, Nightmare Snatchers and Worry-Woolies alike, now contain more pages than ever before and those pages are now multicolored and bright... oooOOOOooooOh! Aaaah! So much glorious color in that paper! And as if that wasn't colorful enough I'm now using eco-felt (made from recycled plastic bottles!) 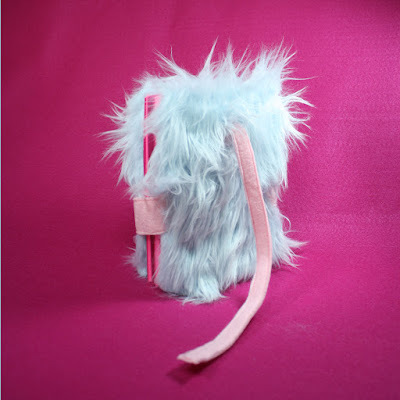 in a variety of colors for the lips and appendages of these furry little monsters!Which leads me to the next and most exciting evolution of the Nightmare Snatcher journals... they now have ARMS! 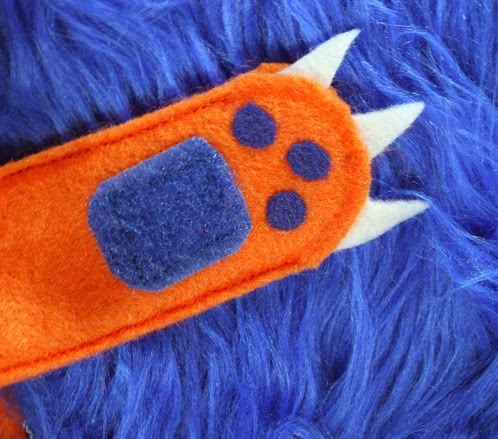 With little velcro paws to help them keep your worries, fears, and nightmares squeezed tightly inside their pages! Hugmitten is looking for a hug! I hope you like the improvements I've made on my monster friends! Stay tuned for more products and artwork! And if you are interested in special deals and updates on my work, please join the Impetuous Homeric mailing list! Don't worry we won't overload your inbox. that I must go to bed... it's quite clear. just won't let me sleep I fear. if I give into the slumber that's calling? if to my chambers I find myself crawling? and I find my lids heavy as lead. While I lay dreaming upon my bed! So for class we critiqued our images and were sent off with the assignment to use what was said to improve our photographs. Here are my redos. The Striped image is a redo of an image I did not post last week, so it's new to you! The ISO on these were a bit high because we had so little light to work with, so there's some noise in the stripe photos especially. I would kill for a legit studio setup instead of the clip lamps and 60watt daylight bulbs we were using. 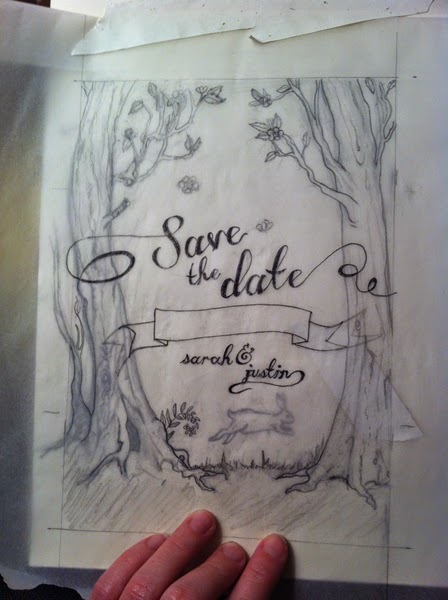 I am an illustrator and a bookbinder.